KATHMANDU, April 25 : The Nepal Tourism Board (NTB) has re-launched a new comprehensive digital and mobile app, “Welcome Nepal” for providing the latest information on Nepal for domestic and international tourists, offering a wide range of content and useful information on travel, events and activities. “The upgraded mobile app is only the first phase of our strategic plan and we will see many more innovative, useful technologies and features released in the near future," a press statement issued by the NTB said quoting its Chief Executive Officer Deepak Raj Joshi. 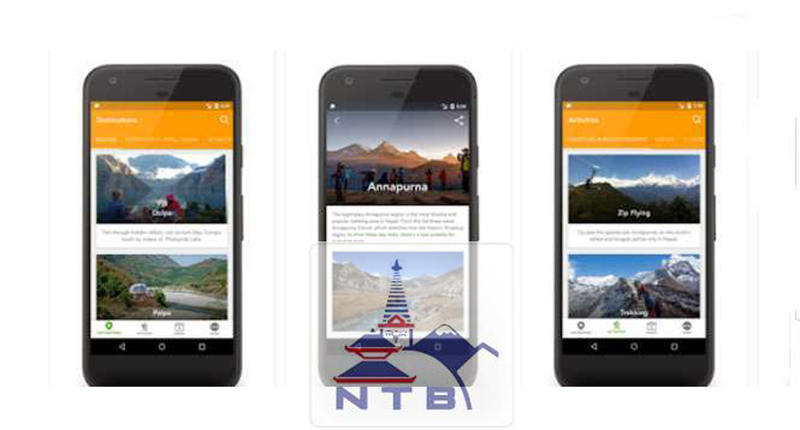 The new, user-friendly app, with its cool features and trendy looks, allows users to get updated information about major cities, small towns and villages, and tourism activities in general along with NTB's effort to promote Nepal globally. The app is available for download on Android and it will soon be available on iOS as well.